Happy Fall, my friends! I can't believe it is already October! This school year is flying by!!!! 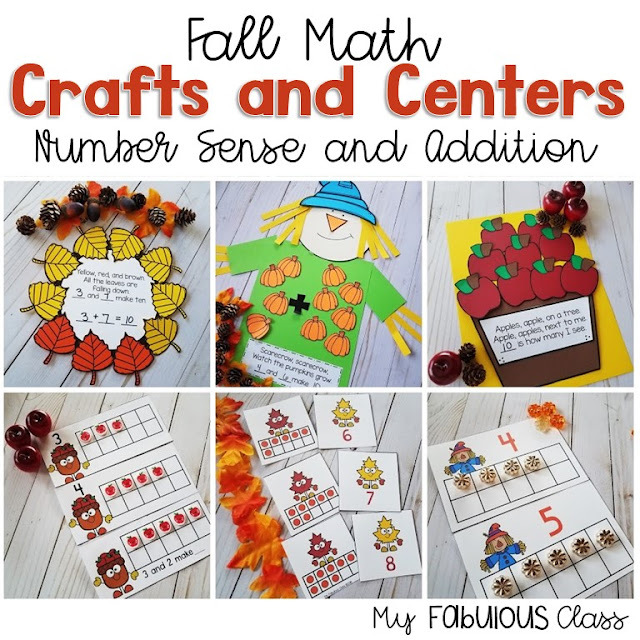 I am excited to share some of my favorite Fall Math Crafts and Activities. There is even a freebie for you! Do you remember my Winter Math Crafts? Now, I have Fall Math Crafts. 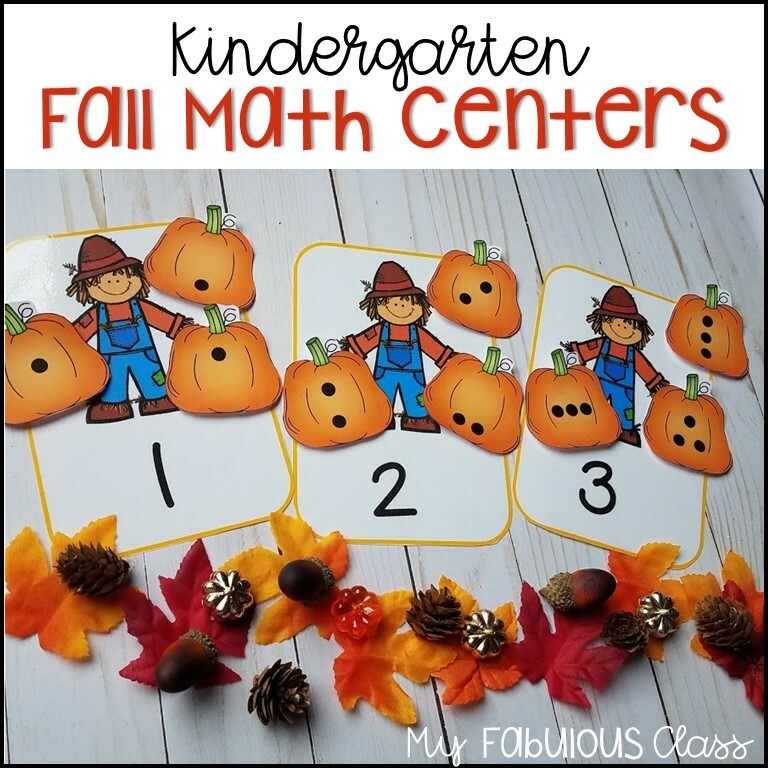 You get three fall math crafts AND three Math Centers. The Winter crafts focused on sums of 5 and sums of 10s. Since my Kindergarteners aren't ready for sums, I also included number sense. All three crafts and centers include number sense, sums of 5, and sums of 10. I couldn't leave my 1st grade teachers hanging. Haven't purchased the Winter set yet? You can buy the BUNDLE, which includes Fall, Winter, and Spring Math Crafts. You can find that one HERE. My class LOVED this apple craft. I picked 10, but you could pick ANY Number. If you are working on addition, use two colors of apples. The matching centers include number sense, making 5 and making 10 ten frames. How cute is this wreath? If you are still working on number sense, you could do one color. There is also larger leaves for making 5. Matching cards are always a hit. Yes, you get these number sense ones AND sums of 5 and Sums of 10. Perfect for differentiation. 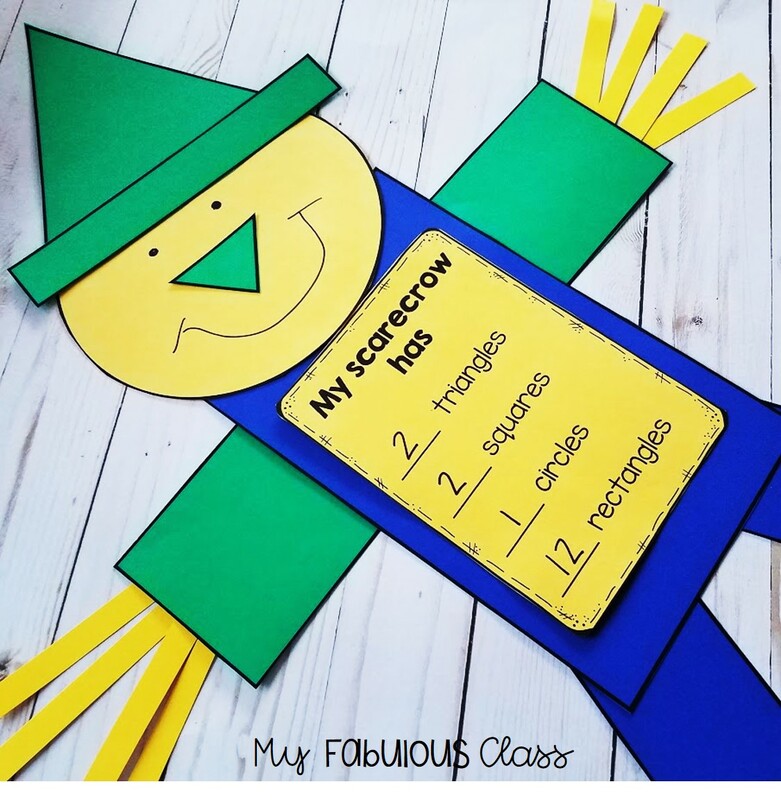 This scarecrow is MY FAVORITE! I don't do scarecrows until November. I can't wait to make this one. I found these golden pumpkins at Hobby Lobby. How cute are they???? This Free Scarecrow is an oldie but goodie. Students count how many of each shape they use and write it. The straw adds to the rectangles. You can get this FREE Template HERE. These are a few more of my favorite Fall Resources that I think you will enjoy.